Live Sic Bo - Find out at which Live casinos you can play Sic Bo. Sic Bo is a dice game that is very popular with Asian players, in fact it is the second most popular game to Baccarat in casinos in Macau. The game originated in China and can now be seen in casinos across America and the United Kingdom. Sic Bo in Chinese means “Dice Pair” and is sometimes known as tai sai, dai siu, big and small or Hi Lo. In online live casinos it is only known as Sic Bo. The game is a simple one. Three dice are rolled and the player predicts the outcome of the dice roll. If he guesses correctly he wins. If not he loses. There’s two version of online live dealer Sic BO. The traditional game, known as Sic Bo can be found at live casino suppliers like Playtech and XPG. Then there’s Super Sic Bo which is provided by Evolution Gaming. This version includes the addition of random Multipliers (up to 1000x) applied to some of the betting positions after betting has closed. The other difference between the two type is the Payout Odds. The original game has better payouts than Super Sic Bo. The reason is simple, the lower payouts in the base game is used to fund the multipliers. You can bet on all sorts of number combinations and most of this article will explain what they are. If you’re a regular Sic Bo player you’ll notice that some of the bets you’d make in the casino are not represented here. That’s because this article relates to live Sic Bo which has been modified slightly for play at online live casinos. If you’d like more information then you can read about the full range of Sic Bo bets at Wikipedia. Small – You bet on whether the total of the 3 dice is between 4 – 10 inclusive. 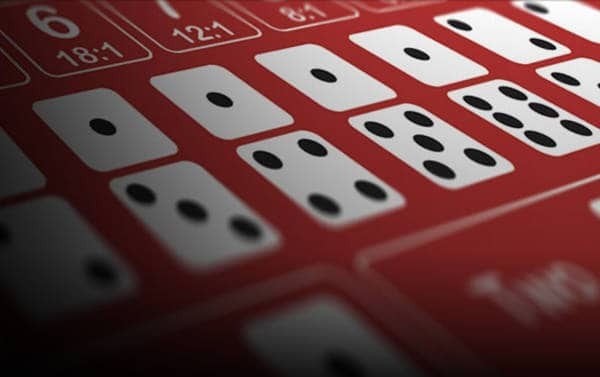 Big – You bet on whether the total of the 3 dice will be between 11 – 17 inclusive. If 3 of a kind are rolled then both bets lose. You are betting that a particular number will appear on as many dice as possible. If it appears on one dice you get paid 1:1, two dice you’re paid 2:1 and there dice you’re paid 3:1. You bet on one of 15 possible two dice combinations out of the three dice, e.g. One & Two, Four & Six, Five & Six. You win if both numbers appear. Here you are placing a bet on what the total of the three dice added up together will be. Possible combinations range from 3 to 18, with 3 & 18 being excluded, so you can bet on 4 to 17. You are betting that a specific pair will appear in the three dice, e.g. a pair of Fours, or pair of Fives. You are betting that a specific 3 or a kind or Triple will appear in the three dice, e.g. 3 Threes or 3 Sixes. You don’t have to name the triple in this bet, you are just betting that any triple will appear on the 3 dice. A number of Live Casino developers offer Live Sic Bo. Traditionally it was only Asian facing suppliers that offered the game. However with Globalisation and the thirst for online live dealer games, Sic Bo has become a mainstream that all suppliers now offer. In broad terms all the versions are the same, however Evolution Gaming has released it’s version called Super Sic Bo that offers random 1000x multipliers during the game. So lets take a quick look on who offers what! Playtech Sic Bo has a very old school feel to it and that’s mainly die t0 the playing interface. The game is streamed from Playtech’s studios in Manila, Philippines. There’s two camera views available, one is Full Screen and the other is mixed mode suitable for players with less reliable internet connections. The Table baize is Pink and a clear domed dice shaker is used shake the dice. XPG favour a red beize for their version of Sic Bo. As you can see, the game has a modern look and feel to it. The dealers are more European than Asian, which says a lot about the markets that XPG is popular in. 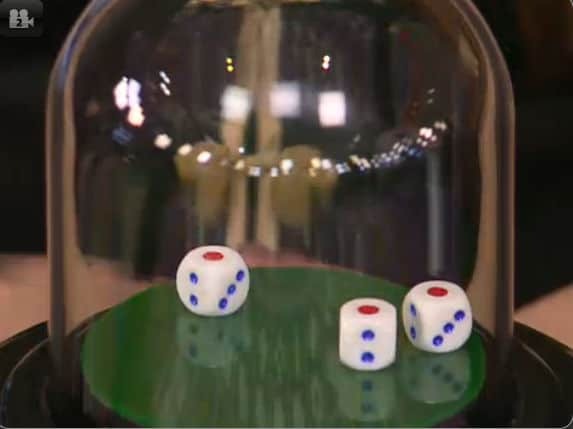 Again a glass domed shaker is used to “roll” the dice, which the dealer controls from her seat by pressing hidden operational buttons. Evolution Super Sic Bo has taken Sic Bo to the next level. Payout Multipliers are added randomly to the betting grid after betting has closed. If you’re betting on the right segment and a multiplier is assigned you could win up to 1000x if the dice roll your way. The studio is located at Evolutions studios in Riga, Latvia. The “set” is decorated in the familiar Evolution Asian studio theme, with lots of Reds and Gold. The Presenter plays no active role in the game as everything is automated, right down to the Dice Shaking in a sealed glass dome. Watch out for the lower payouts on some betting areas, as these are used to fund the multipliers. However the playing experience is nice and the games are quick.